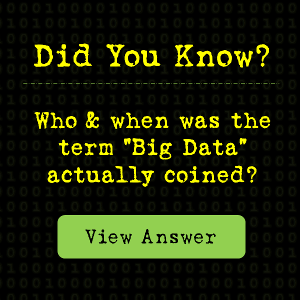 Where do you stand in the bigger picture with Big Data? The world is becoming a more connected place. With millions, not thousands, of devices networked together the volume of information generated has caused the marriage of technology with our day-to-day lifestyle. As pointed out by Cisco, by the year 2020, data storage required to keep business operations up and running will require storage space of up to 1.8 ZB. This is an almost 5 times increase from the installed capacity back in 2015 which was 383 EB. The obvious that is left unstated is that data will not just reflect business operations but also premeditatedly direct the most cost-efficient routes for financial savings. Organizations have already started installing the most appropriate data architectures, imbuing a requisite big data perception. As per research published by Gartner, in 2016, 45% of IT professionals indicated that analytics projects were already underway. Taking it up a notch, in 2017 the big data and analytics industry generated $150.8 billion. The phenomenon is showing signs that the technology is becoming mainstream. And there’s a good reason that people like you, the reader, would affect in ways unimaginable. Emails, spreadsheet, telephonic conversations, sales data. don’t forget Bluetooth devices. This makes any and every business that has minutiae of a digital presence stand up and take notice. Why? To answer typical questions such as is the consumer outreach approach right? Will the adopted means allow for the objective accomplishment? Most importantly, are you going to the market with the right mi of products? With a mature big data perception and consolidated, tech-savvy infrastructure at the office, managers could better delegate tasks and assign responsibilities to meet customer expectations. Imagine a day in the life of a marketing cell of an organization. assuming their posts are gaining considerable traction, they can monitor, more effectively, which social posts are performing as per expectations, what type of responses are being garnered from the readership. Even the perfect timing for putting a webinar on! you name it. If such is the importance of having an austere big data perception at the workplace, imagine the position employers would be willing to offer a professional with such a pedigree. This is exactly where big data analytics practitioners come into the picture. More importantly, this is where the Data Science Council of America (DASCA) comes into the picture. A premier institute, engrossed in the practice of preparing students for their failure proof, Big data career by virtue of world-class certifications. DASCA’s unique selling point, its certifications are platform independent, vendor-neutral and third party. But it doesn’t end there, they are open for candidates coming from a diversified academic background. Talk of mathematics, statistics, economics and the likes, students are served a luxury of opportunities when it comes to course selection. Given the track record that DASCA has created within a short span of time, its topline honours such as the Senior Data Scientist and Big Data Engineer credentials have helped build the big data perceptions of students across the world. Suit yourself for the best heights in the industry with DASCA. This makes any and every business that has minutiae of a digital presence stand up and take notice. Why? To answer typical questions such as is the consumer outreach approach right? Will the adopted means allow for the objective accomplishment? Most importantly, are you going to the market with the right of products? If such is the importance of having an austere big data perception at the workplace, imagine the position employers would be willing to offer a professional with such a pedigree. This is exactly where big data analytics practitioners come into the picture. More importantly, this is where the Data Science Council of America (DASCA) comes into the picture. A premier institute, engrossed in the practice of preparing students for their failure proof, Big data career by virtue of world-class certifications. unique selling point, its certifications are platform independent, vendor-neutral and third party. But it doesn’t end there, they are open for candidates coming from a diversified academic background. Talk of mathematics, statistics, economics the likes, students are served a luxury of opportunities when it comes to course selection. 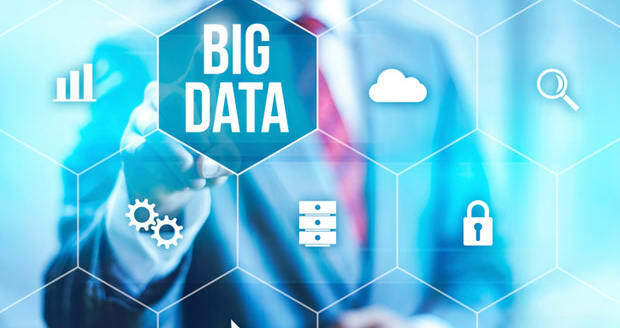 Given the track record that DASCA has created within a short span of time, its topline such as the Senior Data Scientist and Big Data Engineer credentials have helped build the big data perceptions of students across the world. Suit yourself for the best heights in the industry with DASCA.